The third year of LPT is fast approaching!!! Revenue will be writing to the majority of homeowners shortly, the letters will give homeowners the opportunity to decide how and when they would like to pay their LPT. The letter will include the Property ID and PIN and will also confirm the amount due for 2015. If you wish to avail of a phased payment option such as Direct Debit/Deduction at Source you should confirm your payment method by the 25th November 2014 to allow sufficient time for the payment method to be in place for the beginning of the year. Revenue will not be writing to homeowners already paying LPT through deduction at source or by direct debit instead their payment method will continue in 2015. 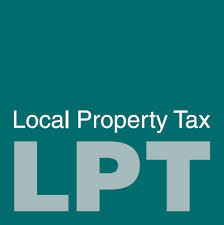 A number of Local Authorities have reduced the rate of LPT for 2015; Revenue will automatically make those deductions. Homeowners can confirm the amount of LPT due for 2015 on their property by accessing their LPT record online using their PPS Number, Property ID and PIN. If you are the liable person for the residential property on 1st November 2014 you have to pay LPT for 2015 even if it is sold before the end of 2014.